Let me fill you in on what’s happening at Clarity Towers today. So we got a phone call last night. Unfortunately, Dawn Bibby is unwell, and has had to cancel the One Day Special which was scheduled to begin this evening at 6pm. Big ask, but could we help? So I got on the phone to Paul, and we came up with an idea. You see, it is pretty tricky to rustle up 5 live hours worth of TV at the drop of a hat – unless you’ve got a good stock of something special – and a couple of heroes in the building! 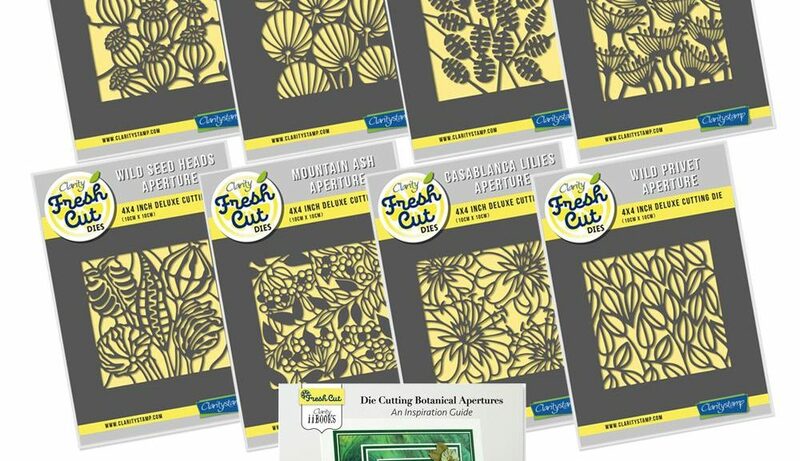 We called them FRESH CUT, because we were taking a fresh look at dies! And I think 7 months on, you will agree that we have certainly done that! Anyway, Paul and I took a look in the cupboard, made a couple of phone calls, and decided to bring back the original collection – this first set complete with ii-Book. They haven’t been back on the box since their launch, so “Let’s do it!” we said. The proposal and all the background work has already been done, so we just have to find it! 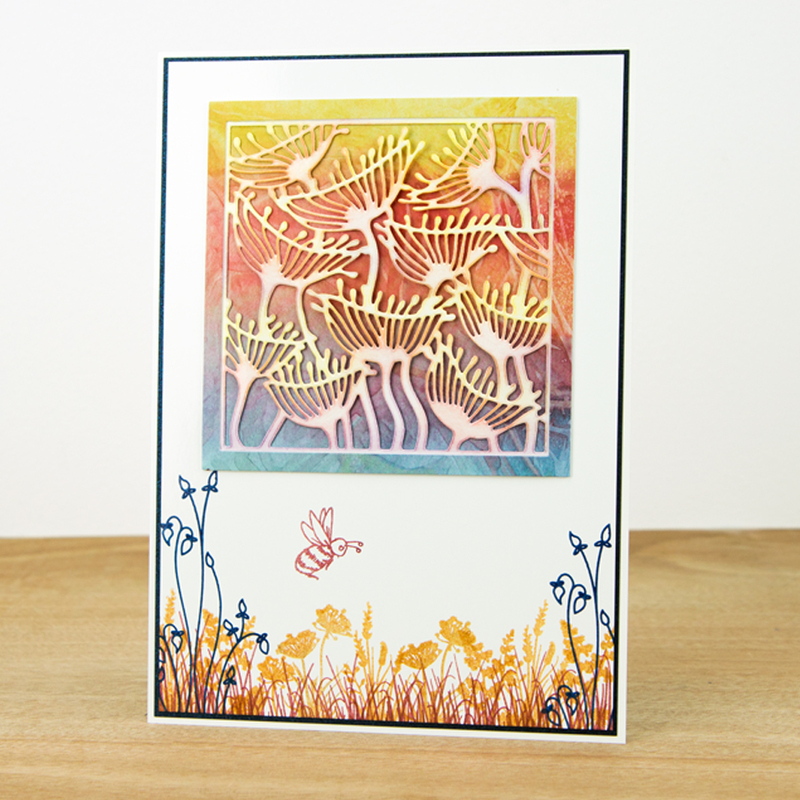 There are 8 seedhead and flowerhead aperture dies in the bundle, illustrated by our clever Mel. Really beautiful. 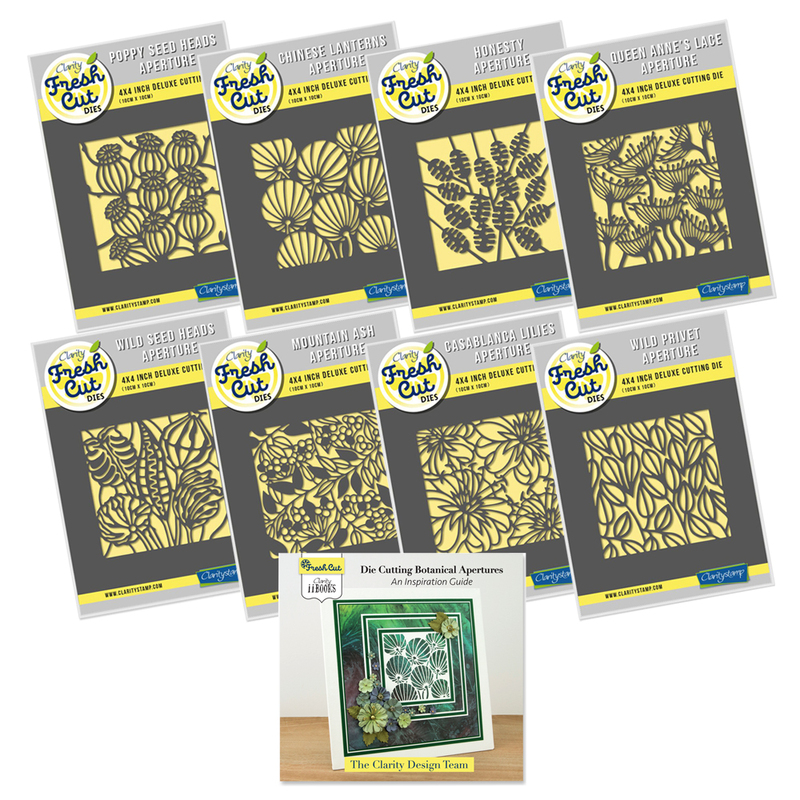 Also included in the offer is a brand new ii-book, including 30 fabulous projects by Dee Paramour, Shelagh Metselaar and Wendy Thorburn, 3 of our talented Clarity Paper Engineers. 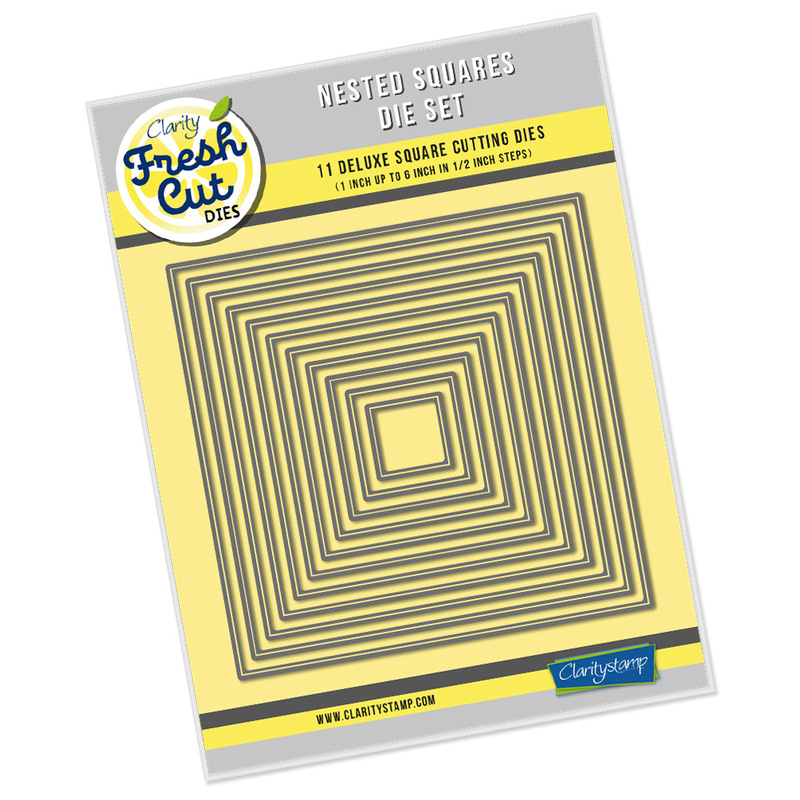 The 11-part square nested die set, which is sold separately, provides the outer cutting edge. Looking back, they have really surprised us since the launch of Fresh Cuts. We honestly assumed that they would be a slow burner, because most people would already have nested cutting dies. We have been baffled by the number of these which have sold! And across the board all shapes too. Lets have a look at some inspiration by the design team……..
It’s actually interesting to go back to the beginning, and revisit what we introduced back in May. 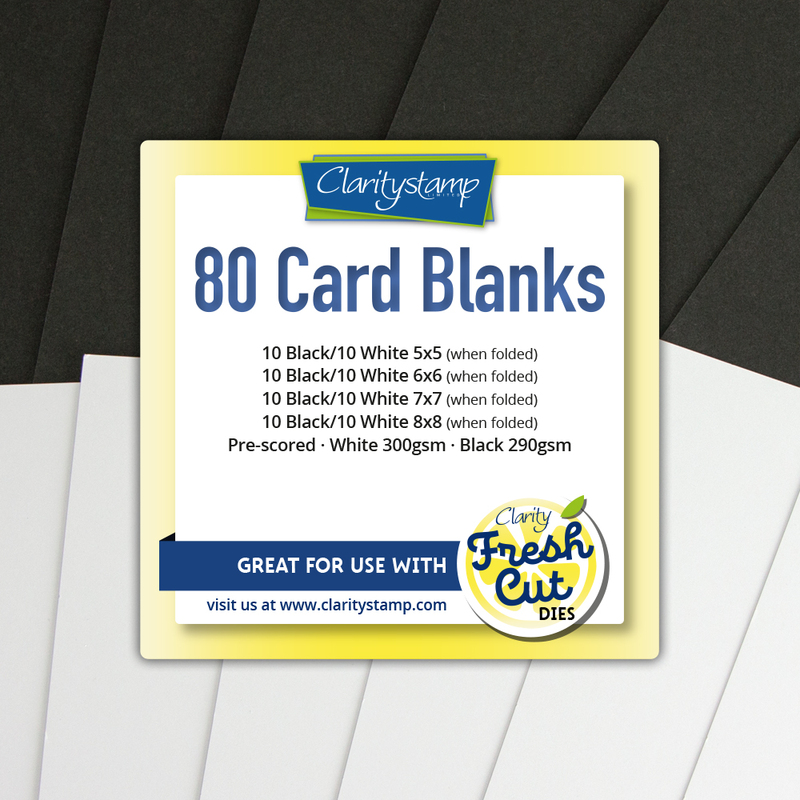 These card blanks were also something we needed to include in our new range, but assumed most folks would have a stash. Not so!! And if you did, you decided you needed a bigger stash! They have flown!! 10 black, 10 white available in 4 sizes 5×5, 6×6, 7×7 and 8×8. 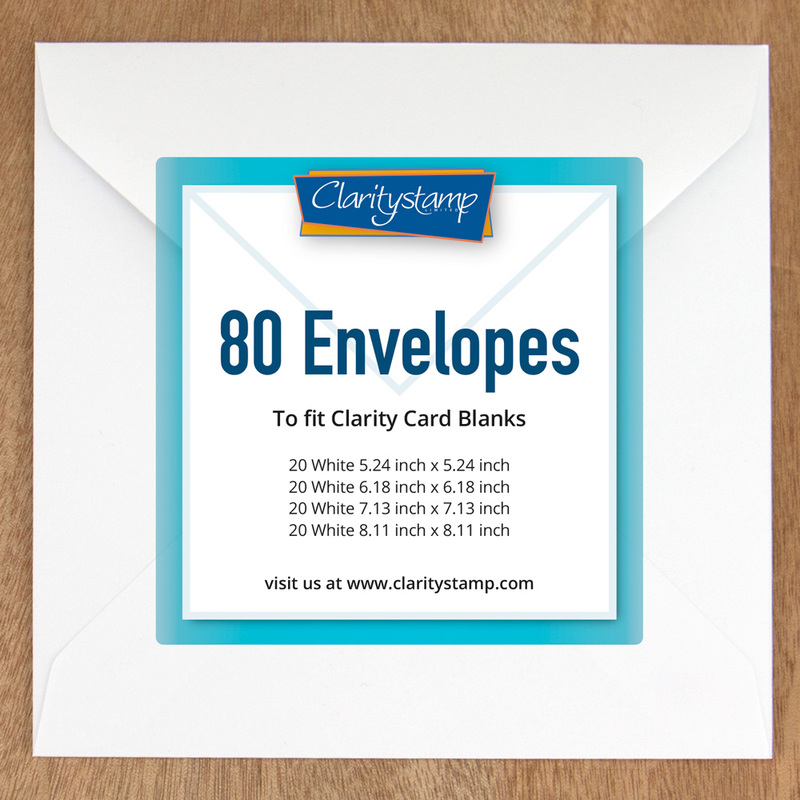 Top quality envelopes available separately…………. So Paul the trooper is already on the road up to the studios as I write, to prep and get the set sorted. 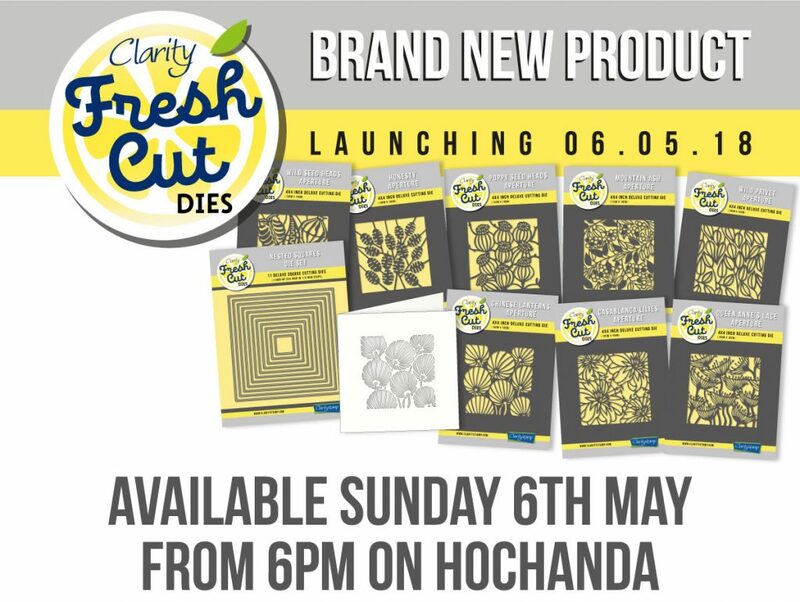 He will launch these superb dies at 6pm this evening. And he will do all 5 hours live TV. I did suggest I accompany him to split the load; he told me no need; to stick to my plan. Good man. Good friend. Please spread the word, and help us make this ODS a success. Wow! What a commitment! Go Paul! It’s great to have such lovely friends and workmates who can help out and make such fantastic shows,plus all the people who tirelessly work behind the scenes who also make it happen and which makes us happy too! Thankyou! I bought a couple of these at the time but not played too much so will record for more ideas. The crafty mojo seems to disappear after Christmas so this should kickstart me again! I know you can’t be complacent but you have such a huge following I’m not surprised everything sells well. 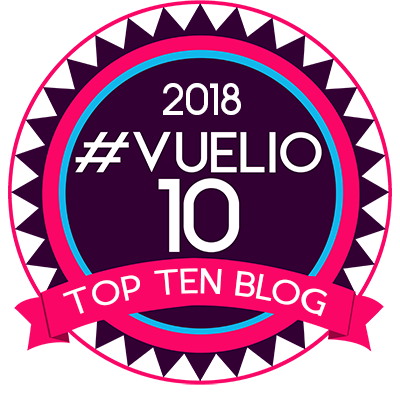 Such a community on this blog goes a long way too. Look forward to supporting Paul tonight. Well done Paul. It’s great to have such a supportive colleague and friend. I’m sure lots of us will tune in to support him. I’ve got these dies and they have so many uses and cut clean as a whistle! Well done Clarity for stepping up and helping Hochanda out, as you’ve always said, team work makes the dream work. It will be lovely to revisit the Dies, I’ve used mine such a lot and in so many ways but there is always room for more inspiration. 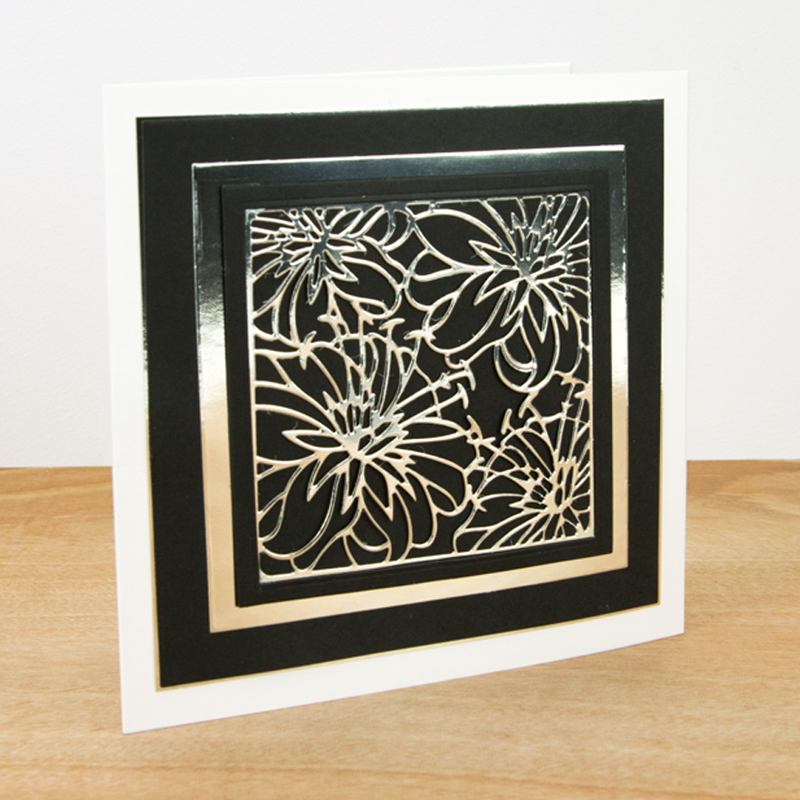 I have to say, I like the samples where it’s cut in white and laid onto black, that’s something I haven’t tried! Hope all goes well and Paul has a safe journey. Ps hope you enjoyed Mary Poppins, it’s on our list to go and see. Not savvy enough to post photo on the blog but have sent a photo of artwork via Barbara @ Clarity. Hope it gets to you. Good luck to Paul. Such a brilliant presenter! Wow! Well done team Clarity and Paul! I used to get called in at very short notice to teach any class from Reception to Year 4 and that got the adrenaline going but to travel to the studious and present all that live TV is something else!! It’s great to look back just to see how far you’ve come. Great performance! Hope Mary Poppins was too. Poor Dawn but, hopefully, she will be back well soon. What a star Paul is and how great that the team at Clarity can manage something like this so short notice. I will record the shows, but I look forward t seeing some more inspiration for the dies I already have. I have these dies and they are well used but I will watch because I like the way Paul presents and has lots of tips for us. Looks like a relaxing evening ahead. Hope you enjoyed the film yesterday. Hi Barbara and everyone, hope you all well. What can I say what a trooper is Paul and a brilliant presenter calm and so great with lots of tips and knowledge. So sorry for Dawn ,but I am sure It will all go well only just heard so catch up will be the day. What a wonderful friend and such a talented man. I caught a glimpse so clearly going well. Well done. Hello Barbara, what a fantastic team you all are, both yourself and Paul come up trumps every time. Well done. You deserve medals. It is a privilege to be a member of your crafting family and Clarity and Groovi worldwide. Paul is such a hero and I am sure you are so proud of him for stepping in at the last minute. May you go from strength to strength. What lovely shows Paul. 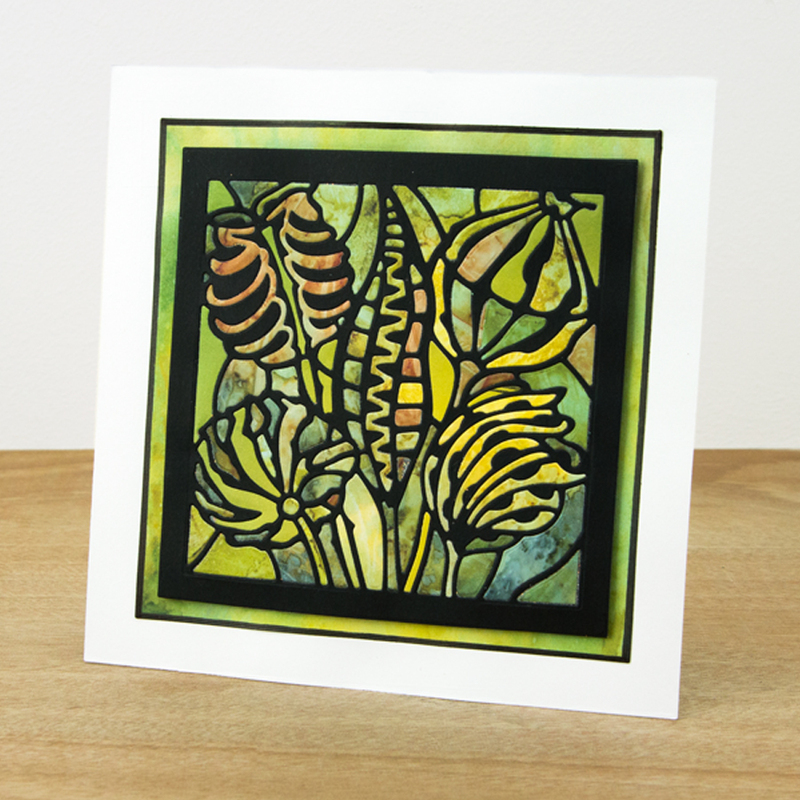 I love these Fresh Cut dies but would love to have a Poppy one (like the stencil). I know there is the Poppy Heads but the other one is lovely too.